We launched our Education Programme because, over the years of our imaging practice and applied research, we have learnt how much can be gained diagnostically from knowing how to manipulate digital images. Our Education Programme also supports our fundamental goal, which is that you get the most out of our images. 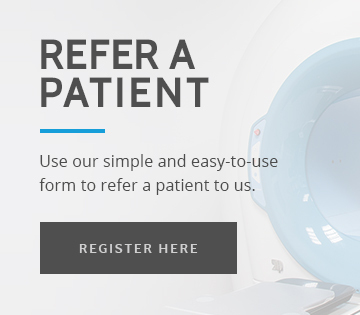 We believe in sharing our knowledge and expertise so that all medical imaging practitioners will be able to ensure patient safety and better treatment outcomes. CBCT and Medical Imaging technology is amazing, but can only deliver the results that will make the difference to the patient’s journey if it goes hand in hand with the correct training, education and clinical information. This is why the speakers on our Education Programme are our own staff, including our managing director Dr Veronique Sauret-Jackson, and guest speakers who are renowned for their technical or clinical expertise. This combination of technology and insightful interpretation makes our Education Programme not only a very powerful tool for the practitioner, but one that can greatly benefit the patient, who could be anyone of us. Throughout the year, we are hosting a series of lectures, each with a very specific focus so that you can really pick and choose the topics that are the most relevant to your learning. Lectures usually start at 6.45pm and are based in one of our Cavendish Imaging centres. We also have a live web-link. This means that you could also enjoy the lecture from the comfort and convenience of your home. You will notice that some lectures are part of our CBCT Masterclass: a bite-size way to take the CBCT course for referrers, Level 1 & 2. Please note that all the relevant lectures must be followed to be awarded the CPD certificate. If you run a course or a study club and would like us to help you with the content, do get in touch with us. Dr Sauret-Jackson, our radiographers and application specialists have been teaching at all levels and will be able to tailor specific content to meet your needs. In particular, we regularly teach on MSc programmes, ADI and ITI meetings. We offer 1-to-1 software tutorials to all our referrers because we want to ensure that you get the most out of our imaging. These open days give you the opportunity to have a look at our state-of-the-art scanning equipment over breakfast or evening refreshments and meet our regional team who are on hand to answer any questions you may have. Our open day at Cavendish Imaging Finchley on January 18, was fantastic. “I was very impressed with what I saw and I am sure that it won’t be long before my patients benefit from your scanning services” was our favourite testimonial of this successful day. Our particular expertise in imaging, modelling and CAD/CAM technologies has led to several peer-reviewed publications. We are especially proud of the ones that have lead the way to establishing new imaging protocols and the adoption of best practice. You can view them in the Research and Academic Publication page.